In tandem with Greek philosophy and Roman jurisprudence, the ethics promulgated by the Old Testament have created a foundational bedrock for Western Civilization. But what exactly are some of the tropes and themes that have come down to us today from this ancient text of 24 Hebrew books, already several thousands of years old? Read on to find 3 notable ideas. 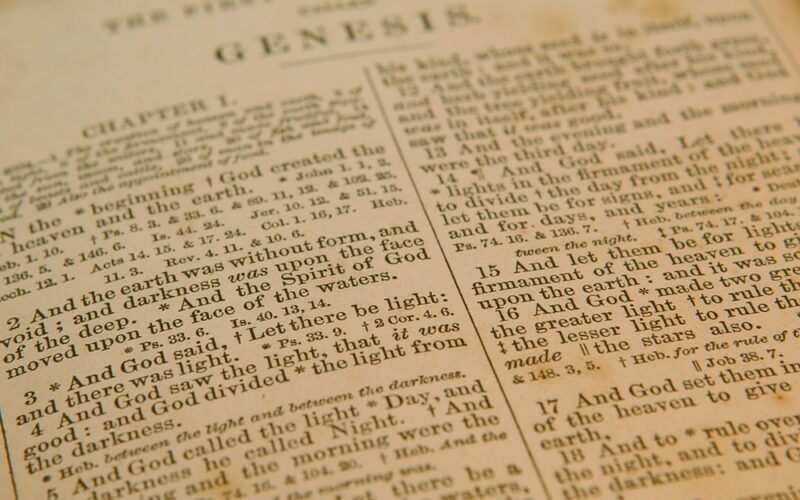 There are plenty of creation stories out there, and flood stories, and a number of other narratives that mirror the content of the Old Testament. What sets this compilation apart is the idea—expressed throughout—that the Creator-figure has specific expectations of how mankind should behave. The expectation is that we will rise above our animalistic, perhaps selfish inclinations, and create a just society that functions along ethical and altruistic principles. “Love your neighbor as yourself,” we are told (Leviticus 19:18). In the ancient world, and even on down through today, the idea of following laws and principles did not necessarily apply to the ruling class, who could do as they please. But the biblical injunction to behave ethically is not just for the common man, while the kings and emperors lean back and enjoy the pleasures of life at the expense of the serfs. The prophetic writings of the Old Testament are filled with exhortations against the kings and queens of ancient Israel to shape up and act justly, in accordance with the ethical principles set forth by the Divine. In this way, they are not god-kings free to do as they please, removed from scrutiny, but they too have a portion in the exhortation for self accountability. When Kain murdered his brother Abel, he is told that “sin crouches at the door…but you can rule over it” (Genesis 4:7). Unlike the fatalism of Greek mythology, where man is locked into this destiny and nature (see the story of Oedipus Rex), the Deity of the Old Testament believes that man can change for the better, and exhorts him to act accordingly. Two of the stories in the Old Testament especially stand out as illustrations of the Divine Plan, and the sense of purpose that our lives carry. One is the story of Joseph. Sold into slavery by his own jealous brothers, he is carried down to Egypt, where he is wrongly framed and imprisoned. In jail, he makes friends with some servants to the Pharaoh, interpreting their dreams. When Pharaoh himself has a dream, Joseph interprets it with such clarity that he is made the virtual ruler of Egypt. In time, his brothers come down to Egypt looking for food, and Joseph reveals that he is their long-lost sibling, reconciling with them and consoling their guilty consciences by telling them it was all for the best: he had been sent to Egypt to prepare food for them in this time of famine. The story is quite Shakespearian in its complex twists and turns and its climatic reconciliation. But in addition to its literary appeal, the story also shows that the events of our lives have meaning and are purposeful components of a bigger picture. A second story that illustrates this concept is that of the Exodus. According to the Old Testament, the Deity specifically chooses the Hebrew people to be a special nation and receive the Divine Law of the Old Testament. He takes them from Egypt through a series of miracles, leads them to Mount Sinai to receive the Ten Commandments, and then to the land of Canaan to inherit the Promised Land. This larger-scale narrative of national destiny proposes the idea that there is a Divine plan for the world, and the Creator can actually inject our lives with meaning and purpose. By contrast, many of the old-world mythologies were filled with a pantheon of divine characters who interacted in a very human-like soap opera of intrigue and passion, which sometimes haphazardly involved playing with the human race. The Old Testament is sometimes viewed as having shades of vengeance. But make no mistake about it: the idea of reward and punishment proposed by this ancient text is far from arbitrary. The various rules and injunctions laid out in its words (Jewish scholars have pinpointed that number at 613) clearly spell out a system of law that is meant to help society function, while rewarding those who do good, and punishing those who do bad. Moreover, the stories of the Old Testament show these principles in action. The Egyptians mercilessly enslaved the Hebrews, so they were drowned in the Red Sea. The wicked Queen Jezebel killed righteous prophets, so her body was cast from a tower. Abraham showed a willingness to listen to the command of the Divine, (that is, the request to sacrifice his son), so he was given an everlasting promise that his descendants would be chosen people. And yet, even with this strict system of cause and effect, there is also the notion that God can overturn judgement with mercy. In fact, this is one of the themes of the story of the Davidic monarchy: despite his liaison with Bathsheba, he earnestly repented and merited Divine favor in securing an everlasting line of kingship through King Solomon. In this way, while the Old Testament proposes a universe of justice, it also proposes the idea of circumnavigating judgement through the redemption of Divine mercy.